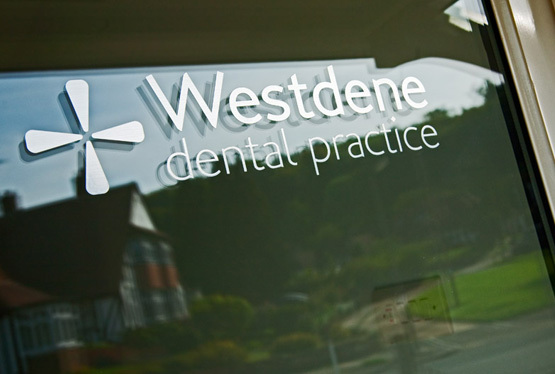 The Westdene dental practice has been a local dentist in Brighton and Hove for over 25 years. We pride ourselves on giving people care for a lifetime. We are a private dental practice situated in North Brighton which has provided quality care to many generations of patients. With easy parking available and warm welcomes as standard we hope to continue to deliver the highest standards of dentistry to Brighton and Hove for many generations to come. If you are looking for a gentle dentist, caring dentist and honest dentist then look no further! One of our patients described us as the best dentist in Brighton and you can check out some of our good reviews on google as we strive to become the best reviewed dentist in Hove and Brighton. As a local Brighton dentist we also have strong links with some schools and nurseries to build a strong relationship with our patients from an early age. I have attended westdene dental practice for almost 2 years. The service has alway been phenomenal. Karen, the receptionist, is always very friendly and especially good when dealing with nervous patients. My dentist has always looked after me and recommended the best course of treatment when necessary. They make space to see you in a hurry if necessary and are very easy to contact as they do not place you on hold! I would recommend this dental practice to anybody who is after complete professional care and I will definitely continue to use them in the future. Highly Recommend! I made an appointment because I wanted veneers to straighten my teeth, but after talking to the dentist we decided on an alternative treatment, which wasn't going to damage my teeth and it wasn't as expensive as the veneers - thanks for your advice, very happy, I'll definitely be back. Brilliant! the exact opposite of the dentist i was visiting before. Non judgmental, don't make you feel uncomfortable, just professional. I suffer with advanced gum disease. Last week went to see Eleanor the dentist for my regular quarterly deep cleaning for my teeth. My this experience was unlike any previous dental visit.This was done thankfully without any injection which was a relief. Furthermore the dentist gave me very straightforward and easy to follow instructions and advice which could help my recovery from the condition I suffer. The surgery itself is extremely clean and aesthetically pleasing. Moreover, I was impressed by how polite and caring the staff were in welcoming and assuring me. The Westdene dental practice had been recommended to me by a friend. We've only just moved to Brighton and I have been looking for a practice for me and my family. From the moment we walked into the practice we felt very welcomed and my two young kids were made a fuss of. When we went into meet our dentist Eleanor I immediately felt at ease as she was very nice. I'm not a huge fan of the dentist so I'm really glad we have found a place where we all feel really comfortable. I would definitely recommend this dentist to my family and friends. Came into the nursery to visit the children. The children loved the friendly nature of Colleen and were very excited to listen what she was saying. Definitely will be invited into the nursery again, took the fear out of the dentist for the children.